La Grange, Kentucky, is the largest incorporated community with just over 8,000 residents in Oldham county and is the county seat. Perhaps the city is best known for the very active train tracks running right through the middle of town. Visitors and residents frequently enjoy waving to train engineers as they drive through town. The culturally rich town combines the old with the new in a number of historically registered buildings, houses, antique shops, boutiques, and local restaurants. While historic La Grange is a great place to stroll around on a beautiful spring afternoon the city is home to much more. Residents of La Grange are able to enjoy all the amenities needed for day to day living. From groceries to pharmacies to chain restaurants La Grange dwellers don't have to drive far to find what they need. La Grange, unlike other communities in Oldham county offer a wide range of housing options. Whether you are looking for a stately Victorian located near , a brick walkout ranch in a custom subdivision or a picturesque farmhouse, beautiful La Grange is as great home-buyers destination. 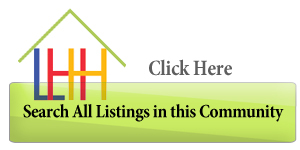 You can search all the available homes for sale in La Grange from LouisvilleHomeHunter.com. You can also sign up for a free account to get email notifications with new listings as well as price changes. Our site is update on a daily basis to make sure you have all the up to date information. Find all the homes listed for sale in La Grange on the Louisville MLS all on our easy to use site. Want to know what your home is worth? check out the link below.